The Audi TTS.Make no mistake : I was deeply honored to be invited to take part in the deliberations toward to choose 2017 10 Best. I depleted five days driving 40 -some competitors and most of the incumbents . . . excellent. But there used to be times when I couldn't help but experience as though I had been plunked down in Dr. Alterman's Camp for Mildly Wayward Boys. I entail, the part two-week drive-athon is staged at a freaking Boy Scout camp, and there are, like, 42 busters( plus one brave gal) in their scruffy facial hair( the busters) and vintage Car and Driver tees worn under untucked cloth shirts. Nearly every exchange deals with the minutium of a highly specialized sub-sector of American culture, and it seemed as though we had all been magically transported to some kind of Neverland( the original one; not Michael Jackson's) where no one has to grow up, where the cars are always brand-new, and where the Washtenaw Dairy doughnuts are always fresh and warm. In this environment, after let's-call-it-two-decades as editor-in-chief of Esquire , it should have been no surprise that the car by which I was most surprised to be delighted, the car that I depleted the most time in, was one that gets no adore from this populace: the Audi TTS. Read Also : 2017 Acura NSX : Track it on the weekend and travel to work on Monday. To be fair, the TT has always seemed, even to me, a bit unmanly. Its original iteration was too cute. A little underpowered. Kinda small. And those attributes restrained me away for a very long time. 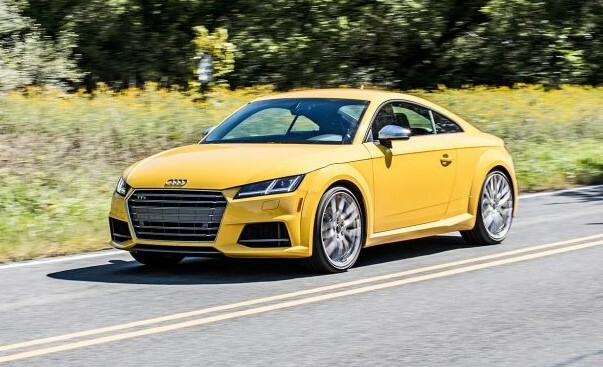 But practically 20 times since its debut, the brand-new TT is a badass. The instant all four wheels hit the pavement, I was shocked by its acceleration and then maybe more excited by how much the car had left in it at the time when I was starting to get scared. But I'm no automobile reviewer. All I know is that my best good drive of the week was chasing the hallowed 718 Boxster in the screaming-yellow TTS and the Porsche never got away from me. The ground the TT gets no official adore is because, well, fashion. The mass of American souls precede lives of instinctively recoiling from prominent spectacles of blueprint, especially blueprint that calls attention to itself. It's snobbish. It's ostentatious. Even though we live in a century in which blueprint has become necessary to educate us how to make use of the technological advances of the past 20 times, we will continue to suspicious of produces that call attention to how well designed they are. Even though we've endured 15 years of cable TV( from Queer Eye for the Straight Guy to freaking Ryan Seacrest asking men what they're wearing on the welcome mat) learning us that it's okay to wear slim-fit trousers and a fitted suit jacket, here we still are, in untucked dress shirts and comfy Levi's. 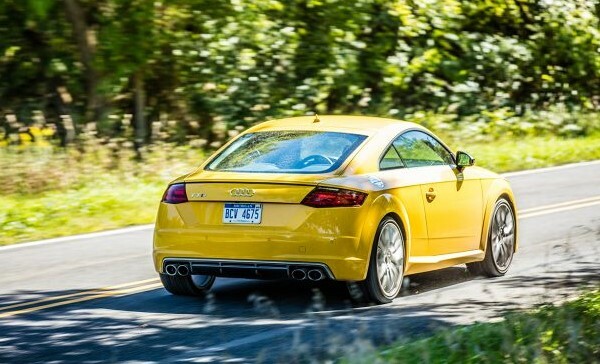 I acknowledge that the TT makes a point of calling attention to itself. Before I drove it, I ascertained its dye task to be a little, um, alienating. And my first impression, on falling into its driver's seat, is that it's awfully luxurious, a mannerism that I'm sure interferes with some motorists' sense that they are one with the road. And perhaps its interior is really a little too intelligent( although not in the annoying action, announce, a Mini's interior can be ). But that was the first thing that exhilarated me about the car. It took me a hour to figure out how to get the air conditioning get because the insures are integrated into the three round breath shows in the dash. I'd never seen such a thing, and after the other 15 seconds, it began to seem like fiscal deficits in every other automobile I'd ever driven. I've always been a little suspicious of Audis, worrying that they were more twinkle than element. But I'm a TT man now. Thought of me what you will.